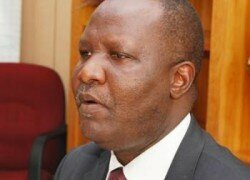 MMD president Felix Mutati has called on politicians in the country to exercise humility if they are to win people’s support and trust in the governance of the country. Mr Mutati said Zambian politicians were not living and fulfilling their promises but using citizens as tools to achieve their political ambitions and immediately forget them after ascending to positions of authority. Speaking after Mass at St. Anne’s Catholic Cathedral in Chipata yesterday, Mr Mutati noted that the church was a place not only for spiritual healing but also for reconciliation. Mr Mutati said the house of God had no entry ticket and all humans including politicians should endeavor to seek the guidance of God if they were to govern to the best expectations of the people. “It is important that politicians should humble themselves before God because leadership comes from above. Zambians are looking for a leadership that has humility and not arrogance, intolerance or one whose agenda is self-aggrandizement. Leaders should endeavor to seek the guidance of God in governing and so the Church plays an important role in the shaping of leadership,” Mr Mutati said. Mr Mutati stated that Christians should rise against vices such hate speech, violence, vengeance and retribution because such evils had the potential to divide the country. He said the peace Zambia was enjoying was anchored on Christian values and that no leader worth his sort should take pleasure in endangering the peace and unity of the country. “I am touched with today’s (yesterday) sermon which focused on humility and I am urging all of us to be humble. Let us not have pride amongst ourselves but to live in harmony as Zambians,” he said. He said the church was not selective as who should pray and that was why different tribes were free to congregate and pray without seeing regions in each other. He said the One Zambia One Nation motto should continue being propagated because it had been the pillar of unity and harmony in the country. “We have failed Zambians as politicians because we do not deliver according to our promises. We only know how to use Zambians as tools to achieve our political journey,” he said. And dean of the cathedral Fr Christopher Nyirenda in his homily emphasized the need for unity and being generous to the needy in society. He said the under-privileged, the old and the sick were not cared for in society and were left homeless yet politicians were ever promising to be leaders for all irrespective of citizens’ status. “If we are humble, we will find favour in the Lord and other people will also love us. Humbleness and humility are a cardinal thing and our relationship with others should also matter,” he said.